Got a hungry family to feed? 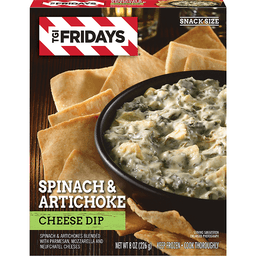 Keep them going throughout the day with a snack that they'll actually want to eat. 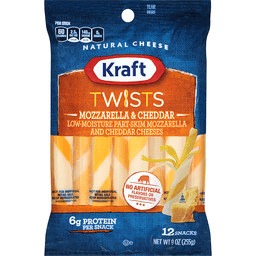 Kraft's Mozzarella & Cheddar Twists are fun to peel and even more fun to eat! Popular with adults and children alike, these twists are a perfect grab and go snack. This package contains 12 snacks. www.boursincheese.com. 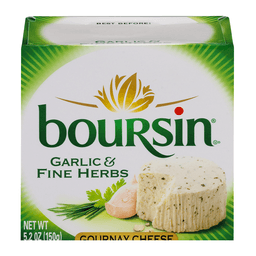 Boursin's mouthwatering recipe is a creamy, yet crumbly blend of real cheese and savory herbs. Presented inside its signature foil wrapper for freshness. Facebook: facebook.com/boursincheese. Made with Philadelphia. 80 calories per serving. See nutrition information for saturated fat content. Your comments count! 1-800-634-1984. Satisfaction guaranteed or your money back from Kraft. Partially produced with genetic engineering. Authentic Mexican restaurant style. Real. Made with 100% real cheese. 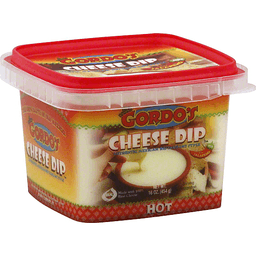 For recipes and serving suggestions, visit gordoscheesedip.com. The new taste of Old Mexico. 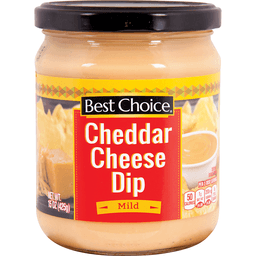 Sharp pasteurized process cheese spread. 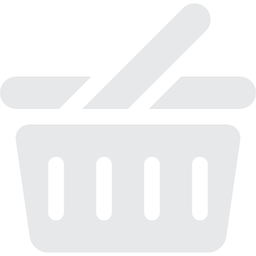 See nutrition information for saturated fat and sodium content. 90 calories per serving. Satisfaction guaranteed or your money back from Kraft. Your comments count! 1-800-634-1984. Genuine Wisconsin spreadable cheese. 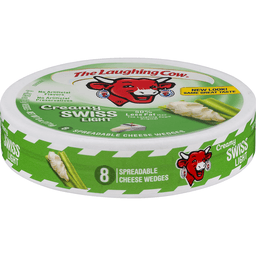 Cold pack cheese spread. 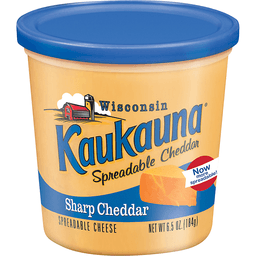 www.kaukauna.com. Authentic Mexican restaurant style. Made with 100% real cheese. 0 trans fat. 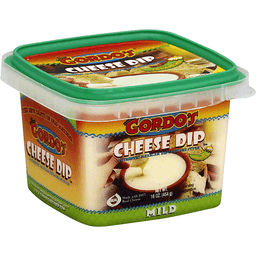 For recipes and serving suggestions, visit www.gordos.cc. 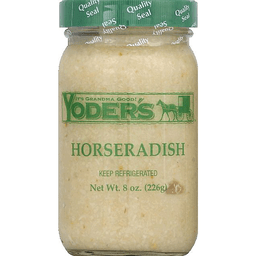 Pasteurized process cheese spread. The real stinky stuff! 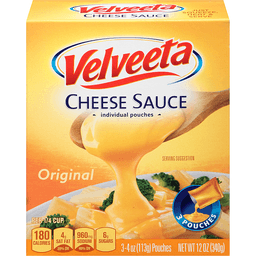 Velveeta Original Cheese Sauce. Individual pouches. Per 1/4 cup: 180 calories. 4g sat fat, 20% DV. 960mg sodium, 40% DV. 6g sugars. 3 pouches. 3-4 oz (113g) pouches. 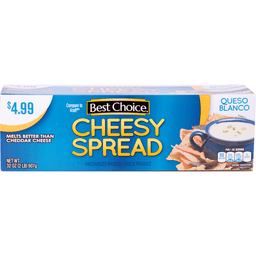 Try these other delicious Velveeta products! Velveeta, Slices, Original. Kraft, Velveeta, Cheesy Skillets Dinner Kit. Velveeta, Original, Classic Loaf. Just squeeze, heat & serve. 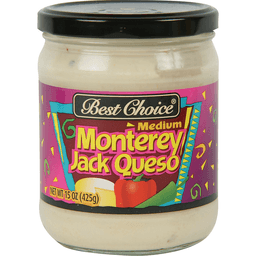 Velveeta Cheese Sauce: Delicious creamy cheese sauce ready to squeeze, heat and serve. 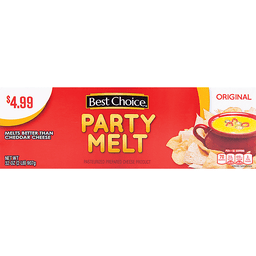 Pour it over pasta, vegetables, nachos, and hotdogs, All the incredible Velveeta taste and so convenient! Hotdogs love Velveeta Cheese sauce. Cheesy macaroni and cheese. Yummy on baked potatoes! This carton is 100% recyclable carton made from 100% recycled fibers minimum 35% post-consumer content. 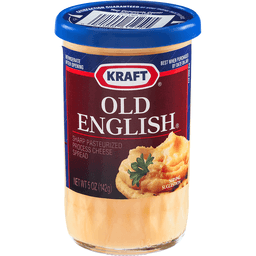 Kraft. 1-800-634-1984 please have package available. For more easy cheesy ideas go to kraft.com. Visit us at velveeta.com. All natural. Born on the French countryside, Gournay cheese is a traditional, soft, mild cheese blended with finest ingredients. 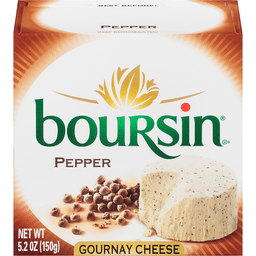 Boursin offers you the all-natural authentic recipe in the signature Boursin foil wrapper. Genuine Wisconsin spreadable cheese. 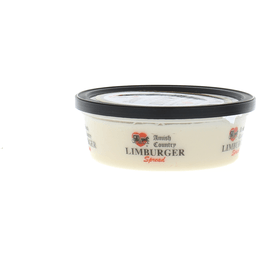 Cold pack cheese spread. 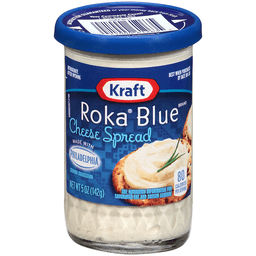 Kraft Roka Blue® Cheese Spread. Made with Philadelphia™. See nutrition information for saturated fat and sodium content. 80 calories per serving. Satisfaction guaranteed or your money back from Kraft. Pry up carefully at each arrow. Your comments count! 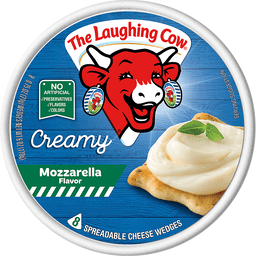 1-800-634-1984 .©Kraft Foods. 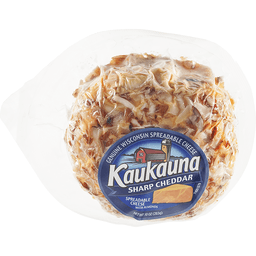 Kaukauna® Sharp Spreadable Cheddar Cheese. Wisconsin. 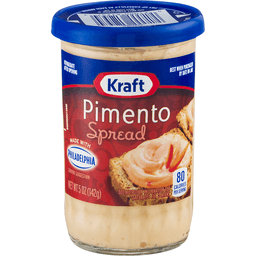 Now more spreadable! NET WT 6.5 OZ (184g). A good source of calcium. Bel® Sharing smiles. 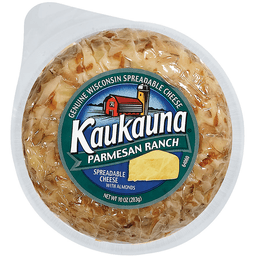 Call us at 1-800-272-1224. www.kaukaunacheese.com. 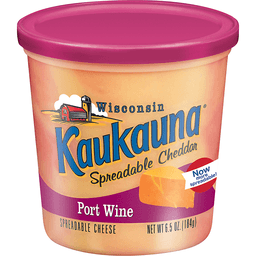 Kaukauna® Port Wine Spreadable Cheddar Cheese. Wisconsin. 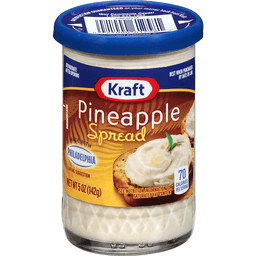 Now more spreadable! NET WT 6.5 OZ (184g). A good source of calcium. Bel®. Sharing smiles. 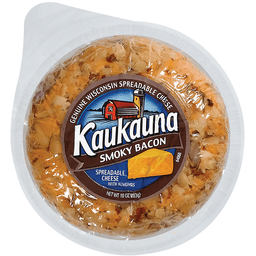 Call us at 1-800-272-1224. www.kaukaunacheese.com. 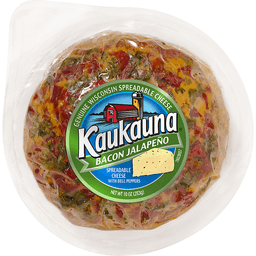 Kaukauna® Spreadable Cheese Bacon Jalapeno. Genuine wisconsin spreadable cheese. With bell peppers. Net Wt 10 oz (283 g). Phone us at 1-800-272-1224. Visit: www.kaukauna.com. 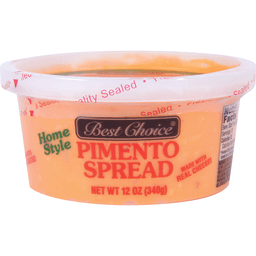 Save 75 cents now with the purchase of one (1) Bonne Maman spread. 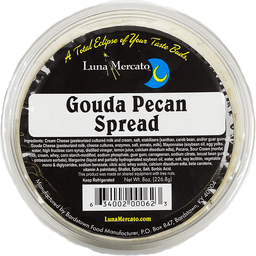 Great with cheese! Non GMO Project verified. nongmoproject.org. Gluten free - all natural. www.bonnemaman.us. Product of France.